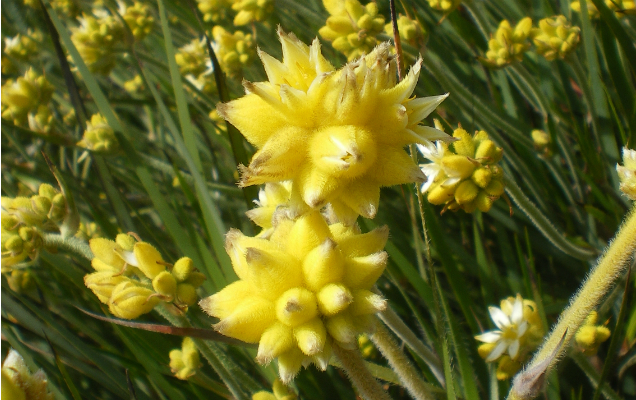 Conostylis aurea is a tufted perennial, grass-like plant. It grows to a height of up to 0.4 metres and a width of about 0.3 metres across. Its leaves are strap-like and it has clusters of golden flowers.